Over the past few years, we’ve been seeing new trends in the home building world toward sustainability, energy-efficiency, and expedient, cost-effective construction and maintenance. A lot of interest has focused on tiny houses and prefabricated homes. During 2017, however, the spotlight turned in a new direction as a new craze took off: barndominiums. Barndominiums are simply a type of metal barn which has been upgraded, finished, and furnished to serve as a comfortable home. That’s right, you can live in a barn! For anyone who is into the rural design trend which is so huge right now, this is a dream come true. It is also an affordable dream. Barns tend to be larger structures, so you might think that would drive up the cost, but the opposite is actually true. Barndominiums are actually quite cost-effective, whether you want to convert an existing structure or have one built for you from the ground up. Plus, you can actually have a barndominium built to any size specifications you want. It can be huge or it can be small; it is all up to you. Few other structures are as easy to customize. What Started the Barndominiums Craze? 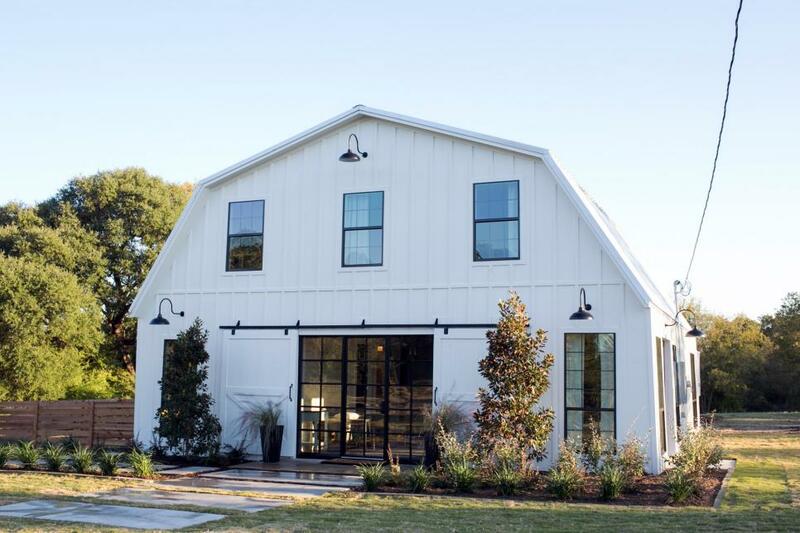 If you are only now learning about barn style homes, you may wonder how this particular design craze initially took off. The Waco Barndominium from that episode is actually up for sale. It consists of 2,653 square feet, comprising five bedrooms and two bathrooms, and can be purchased for $1,200,000. If you check the link, you will see in an instant what made this home so famous. 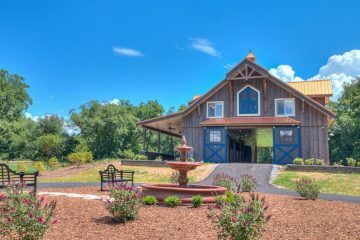 With its beautiful hardwood floors, sliding barn doors, elegant neutral color scheme, and its majestic “Grand Dining Hall,” it is an architectural gem. It’s actually quite a remarkable deal, considering the price includes the house itself, 16 acres of gorgeous forested land, and all the staged furniture and décor. Now, I mentioned that this is the simple answer as to what got the Barndominium trend started. The more complicated answer would be to say that the Fixer Upper episode was released at the right time. In a lot of ways, a barndominium is a “best of both worlds” solution. It shares cost-savings and customization benefits with tiny houses, but it provides the kind of space you would enjoy with a traditionally sized home. So barndominiums have helped to fill a critical gap which opened up in the home design market. Now it is possible to save money on a beautiful custom home and have plenty of space available for living, working, or both. Why Go with a Barndominium? Build a home to fit any property. Adapt the home to serve multiple functions. Save on costs, especially if you go with a kit. Get a durable, long-lasting home which requires little maintenance. Enjoy an incredible feeling of airy spaciousness. Get into the rustic design trend, living in the country home of your dreams. Barndominiums aren’t just for residential use. Let’s talk about each of these advantages in-depth. Then we’ll discuss floor plans and how you can contract a builder to help you take the next steps. Large or small, it’s all up to you—that is the kind of freedom you enjoy when you choose a barndominium. If you want a massive, sprawling estate, you can have it. If you prefer something small and cozy, ideal for just one or two people, you can have that too. That is a major benefit of barndominiums over the other popular trend right now of tiny houses. While tiny houses suit some people, they are not a fit for everyone, especially families which need more space and privacy. Interestingly enough, one feature which barndominiums do share in common with tiny houses is their versatility. One of the reasons why tiny houses have turned into such a big deal with the Millennial generation is the fact that they can be easily customized to fit the exact personalities and needs of their occupants. Form and function are both united in this singular purpose. That is possible with larger structures too, however, and barndominiums prove that. The layout can be personalized so that part of the structure is given over to living quarters, but other sections can be converted to fill other niche purposes. For example, you could live in one part of your barndominium, but use another section as a workshop. Or you could convert part of your barndominium to use as a shop or a home office. Some people also end up using part of their barndominium to serve the role of a traditional barn on a farm. The possibilities are limited only by your imagination. 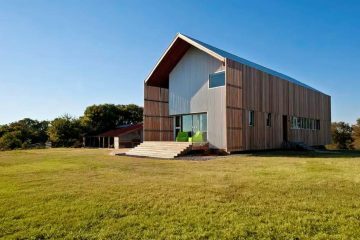 Barn homes can be augmented by special features as well. If you love spending time outdoors, you could have a deck installed with your house. Love hosting parties? Imagine a combined indoor-outdoor space with a set of wide sliding barn doors opening between a downstairs bar and a wide patio. In general, it costs less to build a barn home from the ground up than it does to build a traditional home. This is one of the big appeals of going with a barndominium. That being said, prices can vary quite a bit depending on the builder you choose, the features you select, the square footage, the materials, the finishing options, and more. At the lower end, if all you commission is the structure itself without any integrated features or finishing (except for the basics, like plumbing and electrical), you will probably pay around $20 per square foot. If however you are also commissioning the slab and the finishing at the same time, you could pay closer to $80-$90 per square foot. There is also the option of buying an existing barndominium which requires finishing. You can find some fantastic deals close to $20-$30 per square foot if you go this route as well. Perhaps the cheapest way to build a barndominium is to purchase a kit. You can then build your barndominium on your own or with a contractor’s help. Sometimes you can order prefabricated elements for delivery to your site. This too can save time and money if there is a barn builder located nearby. You might save as much as 50% on total costs with a kit. Metal is sturdy and provides great protection from the elements. It can stand up to severe storms and can even survive earthquakes. A metal structure is not combustible. Metal can be damaged by fire; at high enough temperatures, it tends to deform. But it will not burst into flame the way that a wood structure would. The strength-to-weight ratio for metal is phenomenal. While it is sturdy, it is also lightweight. This can cut costs transporting materials to a construction site, and may also make assembly less labor-intensive. Metal is less likely to attract pests such as termites, and is certainly less susceptible to damage from them. You do not need to worry about insects chewing through the metal frame of your barn home. If you have lived in a wood structure in the past, you know that wood also is susceptible to moisture and mold damage. Protecting it can be a constant battle. A metal structure will not rot from the inside out like a wood one. It is much easier to maintain, and more likely to stand strong over years to come. Save on insurance. If your barn home is built out of steel or another qualifying metal, there is a chance that your insurance provider will cut you a break on your rates. Metal really is a more logical material for homebuilding all around than wood. 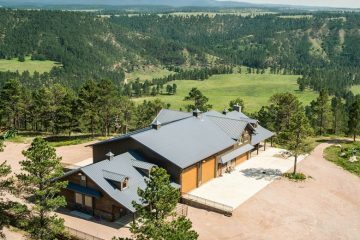 So this is another great reason to consider a barndominium. Another benefit of barn homes is that they offer unparalleled openness of design. The living spaces feature high ceilings and an unobstructed flow of space and light. This ensures that you never feel cramped or stifled in any way, and that you have complete freedom to arrange your furniture and décor in any fashion you choose. America has fallen head over heels with country-inspired interiors and exteriors over the past few years. The frenzied pace of our modern lives has given way to a nostalgia for the past and for simpler times. If it is your dream to escape the hustle and bustle of the modern urban world, a barndominium can become your sanctuary. Whether you have acres of land in the countryside to build it on or you find a way to fit it into suburban or exurban zoning restrictions, once you step inside, you will be immersed in rustic ambiance. Think of it as your little slice of the country, wherever you end up building it. In fact, if you have been collecting homespun décor—barn doors, distressed wood furniture, antique dishware and the like—they will be right at home in your barndominium. While barndominiums are becoming popular as residences, they can be constructed for many other purposes as well. With their large, open design and their adaptability, they work great for corporate meeting spaces or community centers, bars, or entertainment venues, workshops, or garages, or even houses of worship. Whatever type of structure you want to build, whether it is residential or industrial (or both), a barndominium is an ideal solution. How Can You Get Started With a Barndominium Of Your Own? Hire a contractor to build a barndominium for you from the ground up and finish it. Hire a contractor to build the shell, but finish the structure on your own. Purchase a kit and have a contractor assist you (by delivering prefabricated parts for example). Buy a kit and handle all construction on your own. The more work you are willing to do yourself, the more money you will save. Of course, time is money as well, so that is something else to take into consideration. Either way, at a minimum, you will need a floor plan before you can get started. You can draft a floor plan yourself. You can purchase an existing floor plan. You can commission a builder to design a floor plan for you according to your specifications. Commissioning a floor plan is the most expensive option since it involves extensive custom work. If you want to save money but still would like some custom features, you could also consider buying an existing floor plan and then hiring a builder to make some modifications to it. That would be a “best of both worlds” option for cost-effectiveness and customization. If you search for barn home floor plans online, you will find tons of amazing layouts just waiting for you. 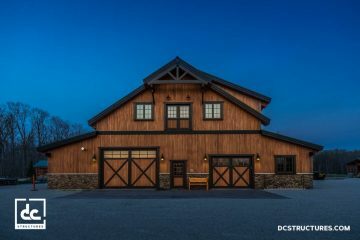 Unless you plan to construct your barn home yourself, you will need to contract a barndominium builder. This is a highly involved step, since your hiring decision will impact every aspect of the process going forward. Make sure that the builder has the appropriate qualifications and can conform to local zoning ordinances. Pay particularly close attention to this if you are having prefabricated parts delivered from out-of-state. If you live in Florida and are hiring Texas barndominium builders, for example, they should be able to design according to Florida’s residential codes. Pick a firm that can do what you need. Do you already have a floor plan, and just need a builder to bring it to life? Or do you want to work with a builder that can supply you with a custom floor plan? The builder’s visions should align with yours. Take a look through the contractor’s gallery of completed works. Do the barn homes in the portfolio evoke the same aesthetic ideal that you are after? Can you imagine moving into one of those houses and feeling happy and at home there? Check if the company can work on your timetable. This is very important, and can be easy to overlook. When you locate a builder that does amazing work, you may be excited to proceed. But if you jump in without getting a realistic idea for the timetable you can expect, you may find yourself in a pickle. Nothing is more frustrating than needing a structure completed by a certain date and finding that it still is not done weeks or even months later. Make sure you are going with a firm you can afford. Price of course is essential to weigh before you select a builder. Make sure that you understand all of the costs involved. Get a thorough estimate which includes materials, labor, and any other expenses. Keep in mind that an estimate is only that, and that your final costs could be higher. Plan for that, giving yourself enough flexibility in your budget that you can request modifications and additions to the design as the process unfolds. Talk to the builder. See if you can establish rapport. This is not necessarily the most important thing, but it can be a big help. A company can offer beautiful floor plans and still be a hassle to work with, and that is something you want to avoid. If possible, aim to do business with a builder that is easy to work with and follows an intuitive process. See to it that they respect your vision and are willing to collaborate with you as needed. If you have very specific ideas for your barn home, they should be willing to accommodate you, even if that means diverging from their own. Check references and visit existing structures the builder has worked on. Follow up on the references, asking the clients whether they were happy with the builder’s services and if they are pleased with the structures they commissioned. If possible, drop by some buildings in your area. In some cases, you might be able to take a quick tour. Even if you cannot, you can at least take a look at some exteriors. What is your background, and what are your credentials? Are you familiar with the building codes in my area? How do you come up with your price estimates? 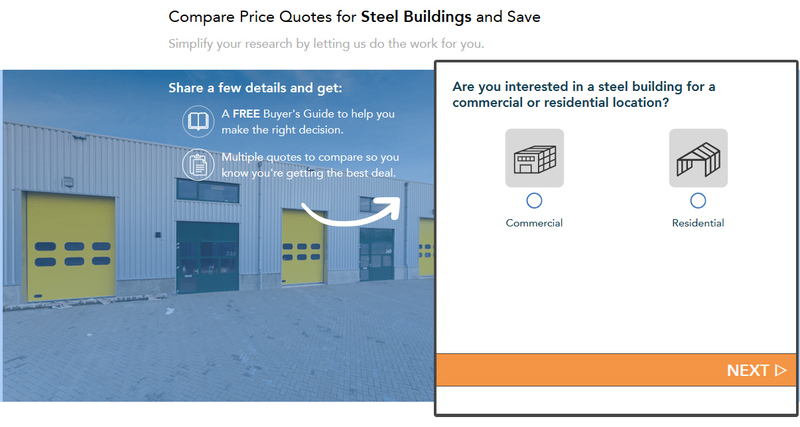 How close are your final project costs to your estimates on average? Do you do all construction work in-house, or do you work with subcontractors? If so, how do you select them? Are you willing to collaborate with me, and/or my designers and other contractors? Who will be in charge of supervising the site when my home is being constructed? What is the process like step-by-step through to completion? What is the longest possible timetable you would project for this entire project? How close are your timeline estimates on average to the amount of time it actually takes to complete most of your barn homes? If unforeseen costs arise, when and how will you inform me of them? If there are scheduling delays, how quickly will I be informed? What motivates you to do this work? Why did you choose to get into architecture and design? What do you find exciting about this particular project? Can you provide me with samples of invoices, construction schedules, maintenance manuals, and so on? What kind of warranty do you offer on the barn home? Choosing the right builder for a barn home isn’t something you can do in an afternoon, but putting extra time and effort in will pay off in huge ways. It will streamline the entire process, and result in a barndominium which fits your vision. Conclusion: A Barndominium is a Beautiful, Spacious, Rustic Home That Will Stand the Test of Time. 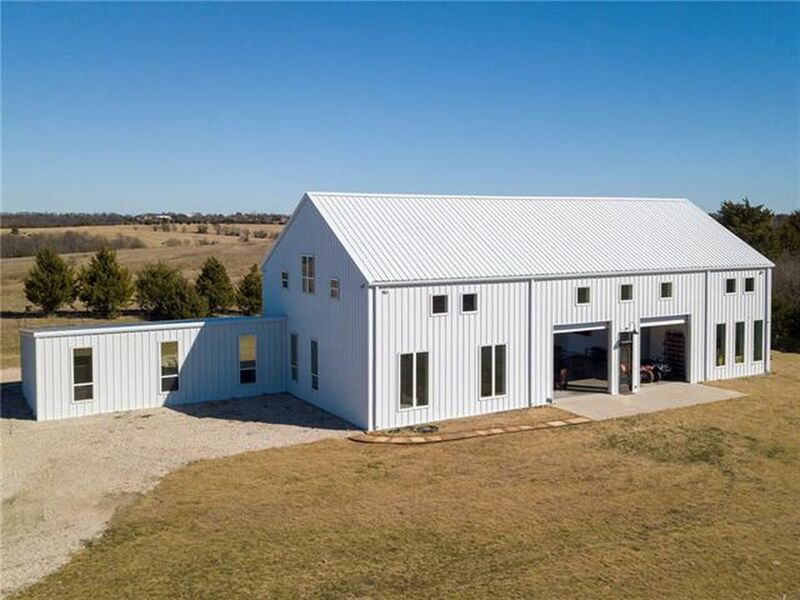 Whether you are looking for a roomy home that evokes the nostalgia of America’s rural traditions or you are in search of a trendy structure to serve as a shop, entertainment venue or meeting center, it is hard to beat a barndominium. Few other types of buildings can be so fully customized to your every need, or offer you the spacious interior you need to fill any function you can imagine. With rugged metal construction, barndominiums resist damage and require little maintenance, making them cost-effective to construct and maintain. Ready to take the first step toward building your own barndominium? Take look at our recommended builders and designers to get started. You could soon be waking up each morning in the barn home of your dreams!